Throughout the month of October, TinyEYE employees sent facts about Breast Cancer to one another via email. Some of these facts were of personal nature; others were researched. 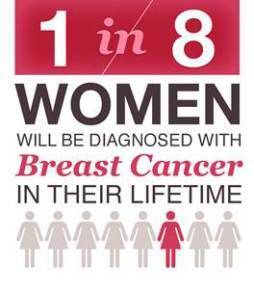 What stands true for all of these facts is that breast cancer is both very common and dangerous, and deserves attention for more than one month of the year. Here are the facts that our TinyEYE employees shared with one another.